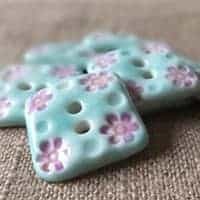 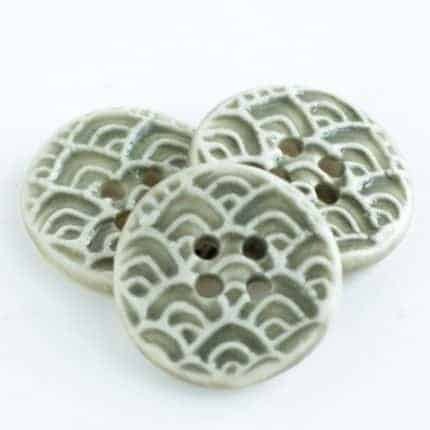 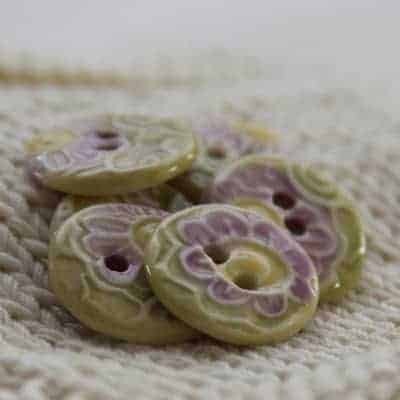 Unique, handmade ceramic buttons are the perfect closure for hand knit garments! 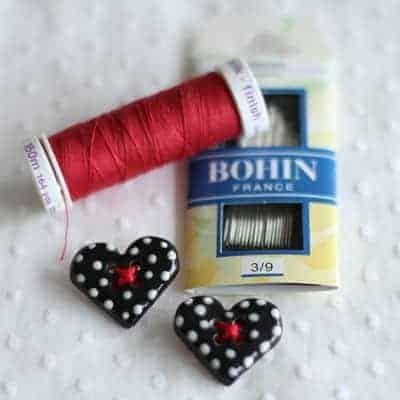 Lending charm, distinction and character to your handmade or store bought garments and projects, they make finishing your projects fun! 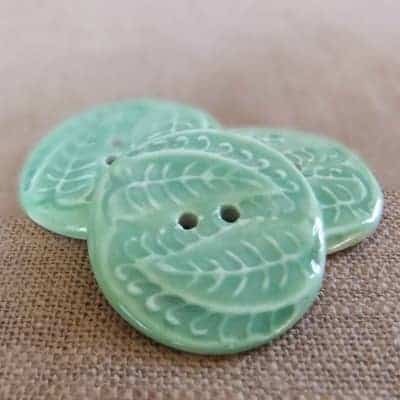 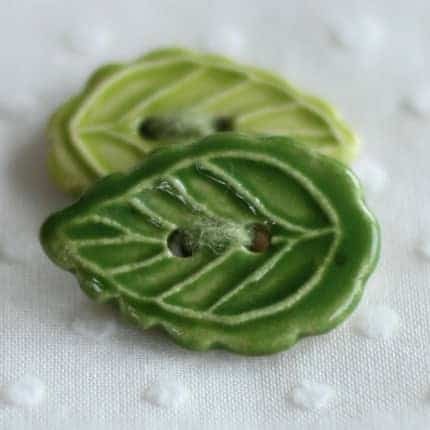 Introducing new leafy green buttons! 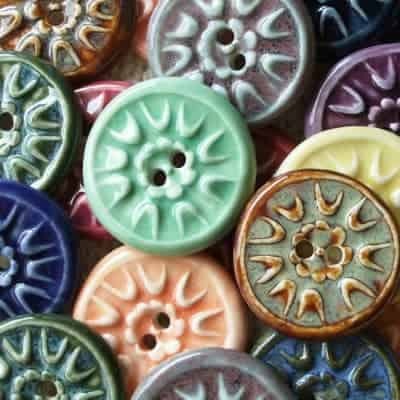 These darling buttons are handmade using high fire porcelain clay, carved, bisque fired, painted and fired again to ensure durablilty. 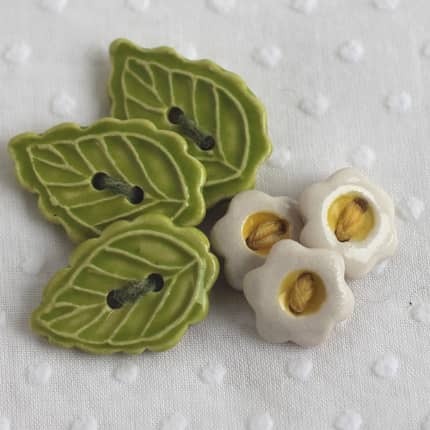 We can smell spring in the air and wanted to celebrate with greenery and flowers! 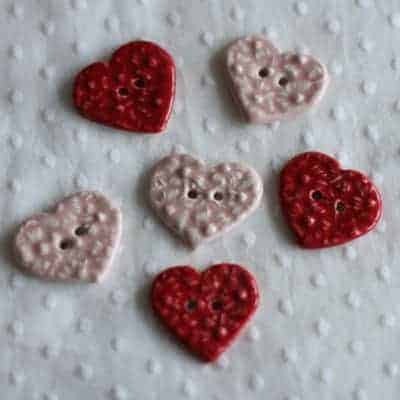 Add heart embellishments to your craft project! 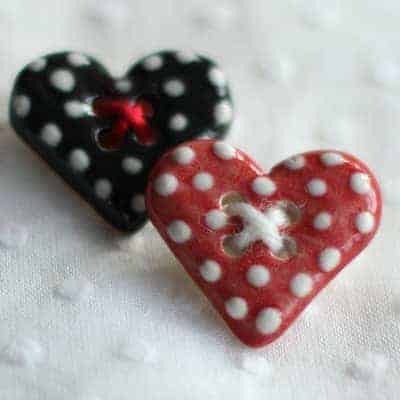 Choose from a vintage style polka dot heart or a lacey textured heart button. 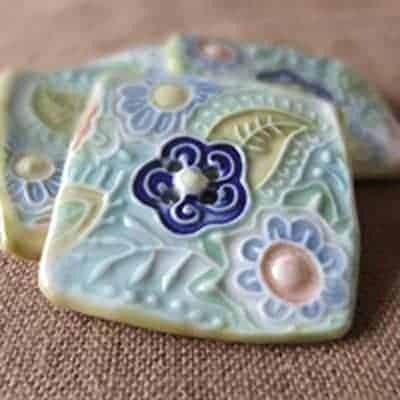 Add them to the cuffs of mittens, crazy quilt, mixed media work, the brim of a hat. 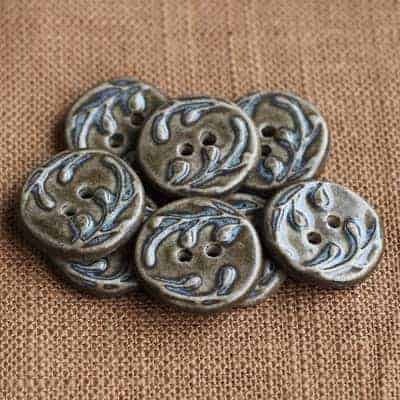 Of course they can be used to button up a cardigan, but also try decorative buttons on a pocket, collar or cuff! 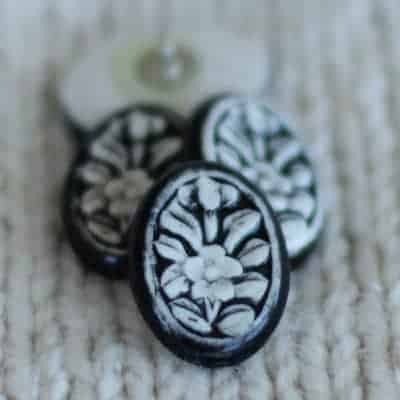 Use code INDIE and your order will ship free! 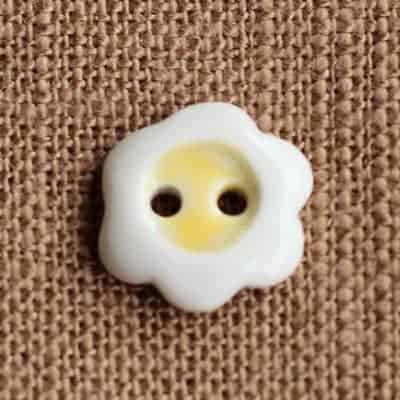 We are finally seeing snowflakes! 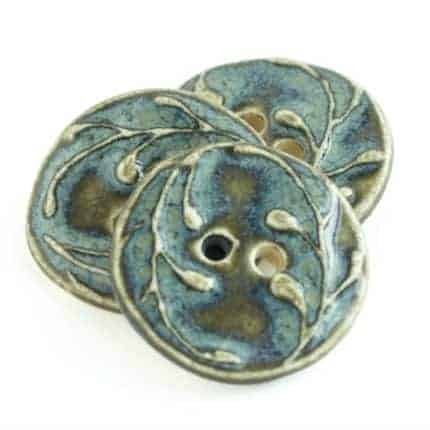 Winter sure has taken it’s time in arriving here in the northeast! 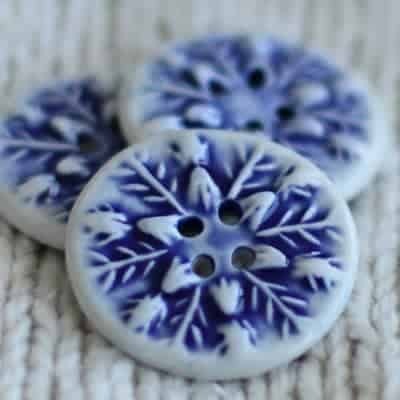 But we do finally have some snow. 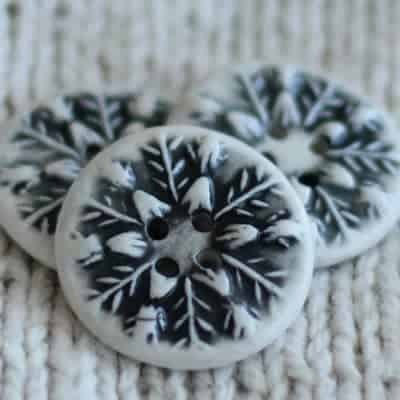 I thought I would celebrate by listing this new snowflake buttons on-line. 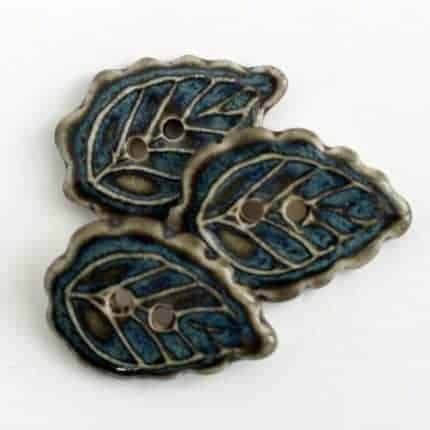 It comes in 3 colors; blue, black, and grey. 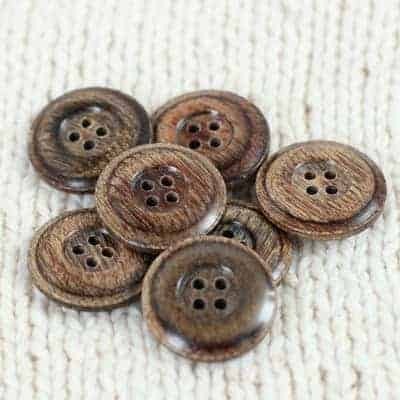 we’ve also added some lovely wooden buttons made in the USA. 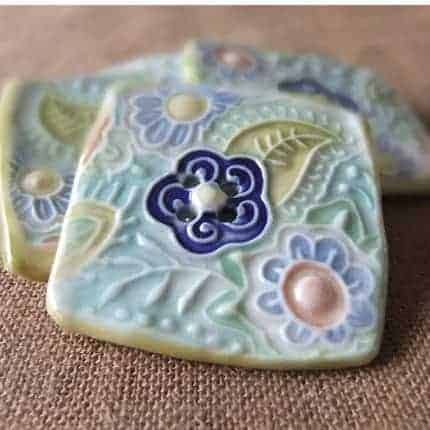 Find closure for your next project!